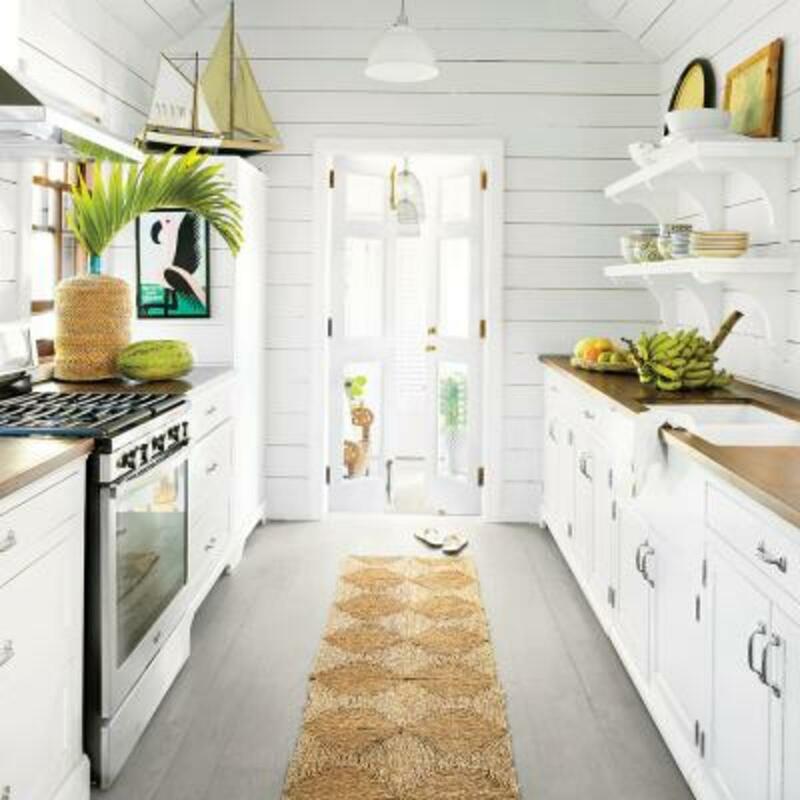 Small kitchens have the potential to be cozy and inviting. However, when they are disorganized or poorly laid out, they quickly become dark and cluttered and at worst, claustrophobic. From finding quick, short term solutions for a first apartment to creating lasting kitchen systems for a "forever" home, there are a wide range of affordable compact kitchen solutions to fit virtually every budget. When you're working with any sort of smaller home space, ample light is critical. White, light neutrals (i.e. 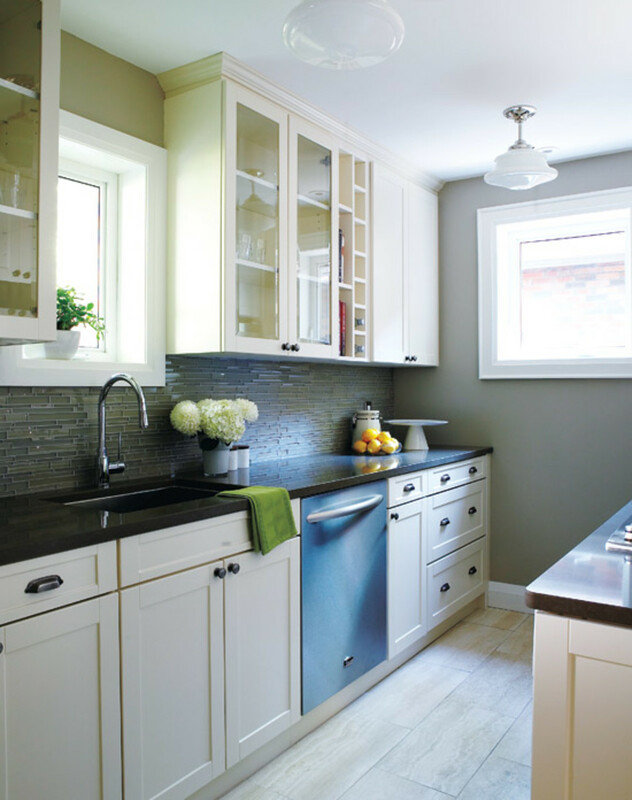 pale gray, beige), and pale pastel shades reflect natural light, keeping the kitchen clean and fresh. Light colors also create constancy in kitchens with open floor plans. If you're planning a remodel, consider airy tones for the paint as well as the backsplash, countertops, kitchen island, and flooring. 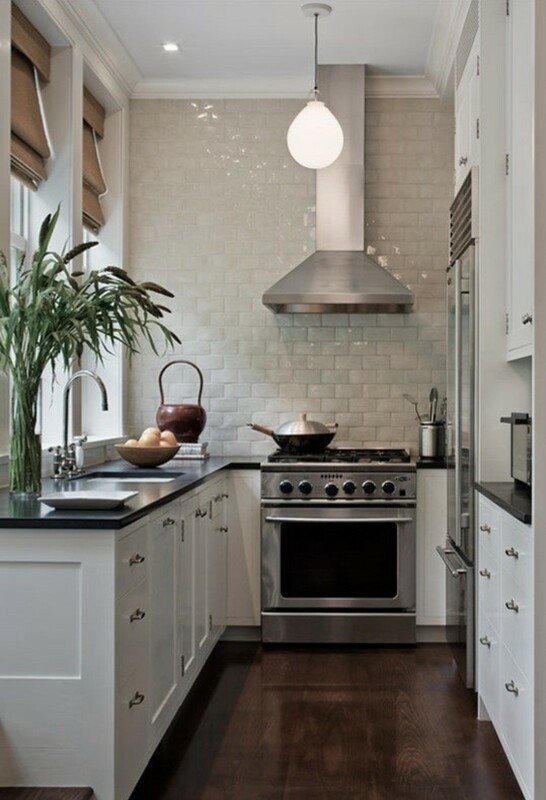 Just a few popular choices include white subway tile, quartz, and light granite. If you're dying to add some color in your small kitchen, a painted accent wall, colorful wall decor, and bright light fixtures are all great options. Bringing lots of natural light into a kitchen is one of the most effective ways to make a smaller space feel more open. If you have windows or doors in your kitchen, don't cover them with heavy blinds or drapes. If you want a little privacy, consider sheer coverings that still let in light. Are you renovating the space? Opening up an interior wall is another great way to bring more light into the kitchen. For example, if you have a small doorway between the kitchen and dining room, knock down most of the wall to create an archway. When you're trying to cut down on clutter in an already small space, open shelving may seem like it would just add to the problem. If you shove items into open shelves haphazardly, the space will look more disorganized than ever. 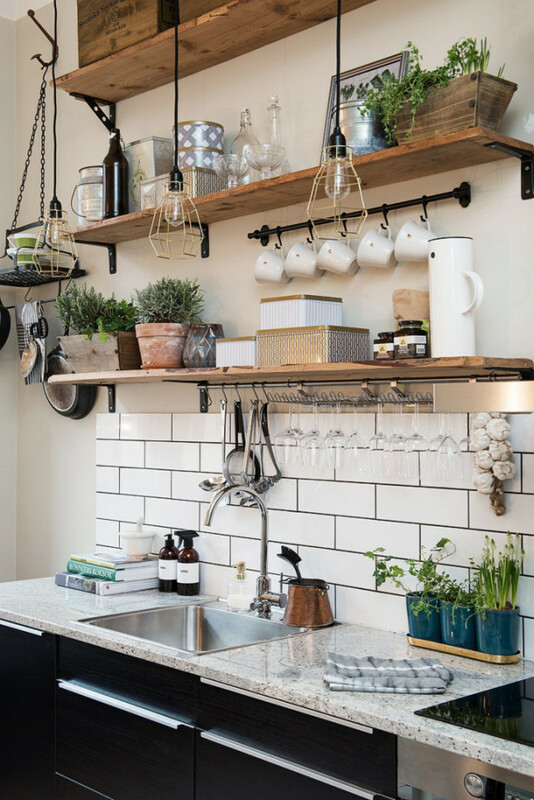 However, when you display shelves that fit with the existing kitchen theme and you fill them with cheerful, colorful items, they'll keep the space more open than cabinets. Alisa Burke has a great post detailing how she and her family built open shelving for their kitchen in a single weekend for less than $100. Most people put appliances out on their kitchen counters without giving it a second thought. While there's nothing wrong with keeping out a few appliances that you use all the time, appliances can make a kitchen look cluttered, especially a smaller kitchen. If you want to have a few appliances out, prioritize the appliances that you use the most often, find storage for appliances that you use less often, and get rid of appliances that you never use. 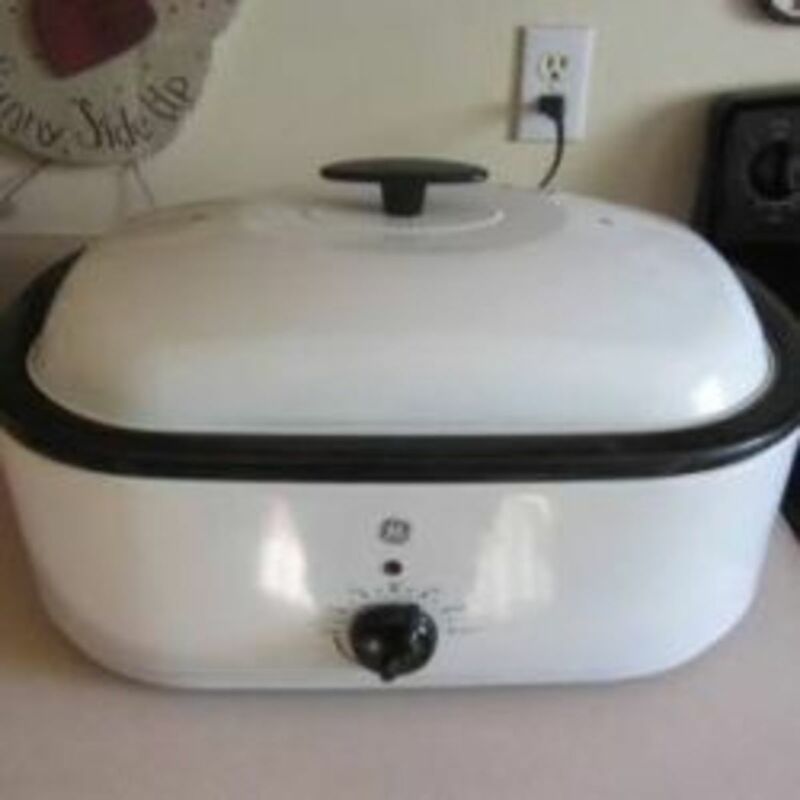 When you're tight on kitchen storage, look for storage options in other areas of the house for larger appliances, such as a slow cooker or roaster oven. Adding a tiered cabinet organizer, pantry shelf organizer, or lazy Susan to a cabinet or pantry shelf significant increases your usable storage space. You'll be able to store a lot more items and then access everything with ease. 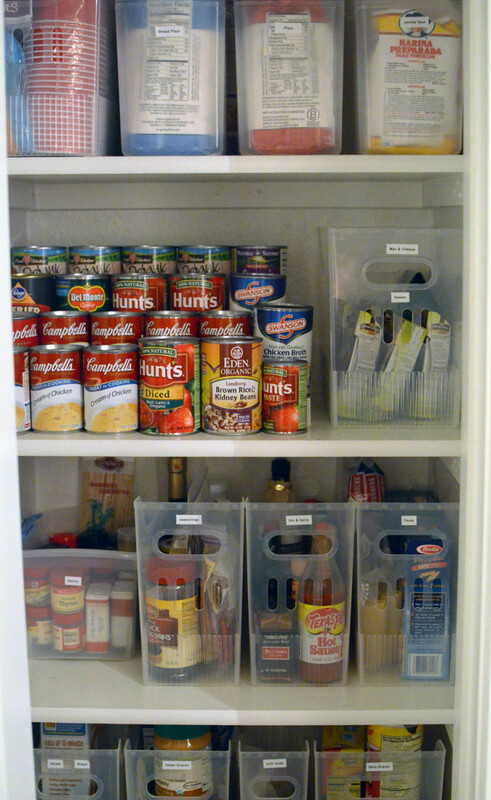 For example, in the photo of the pantry, without the tiered organizer, you would never be able to see the cans on the back of the pantry shelf, which means you'll spend lots of time hunting for the right one. You can also use under shelf baskets to expand your kitchen storage space while still making it easy to get what you need quickly. 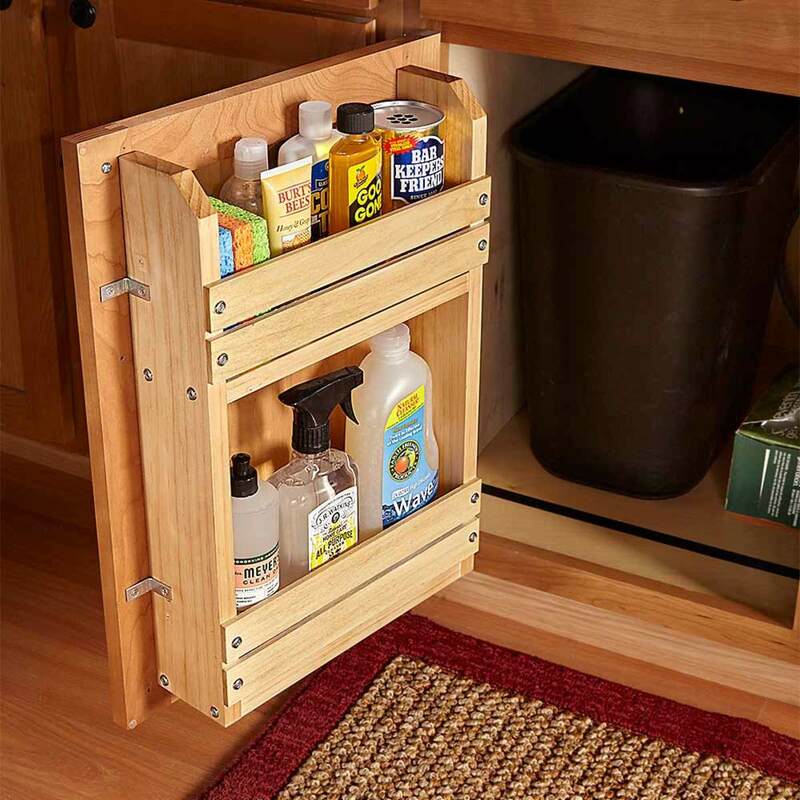 For just a few dollars, a tiered cabinet organizer makes it much easier to access everything. From hanging a wire rack on a cabinet door for Ziploc bag storage to creating a complex organizational system on the back of a pantry door, there are a seemingly endless number of ways to add storage to a small kitchen using the backs of the doors. Think about which doors will be able to provide the storage that you need where you need it the most. For example, if you tend to grab Ziploc bags while you're making bagged school lunches for your kids, create back of the door storage on the cabinet that contains snack foods, thermoses, and other essential lunch items. I love how this compact kitchen cart has a mix of open and closed storage with a cabinet and a drawer as well as a towel rack. Kitchen islands are great but only when they make sense in a kitchen layout. For many smaller kitchens, an island simply isn't feasible. 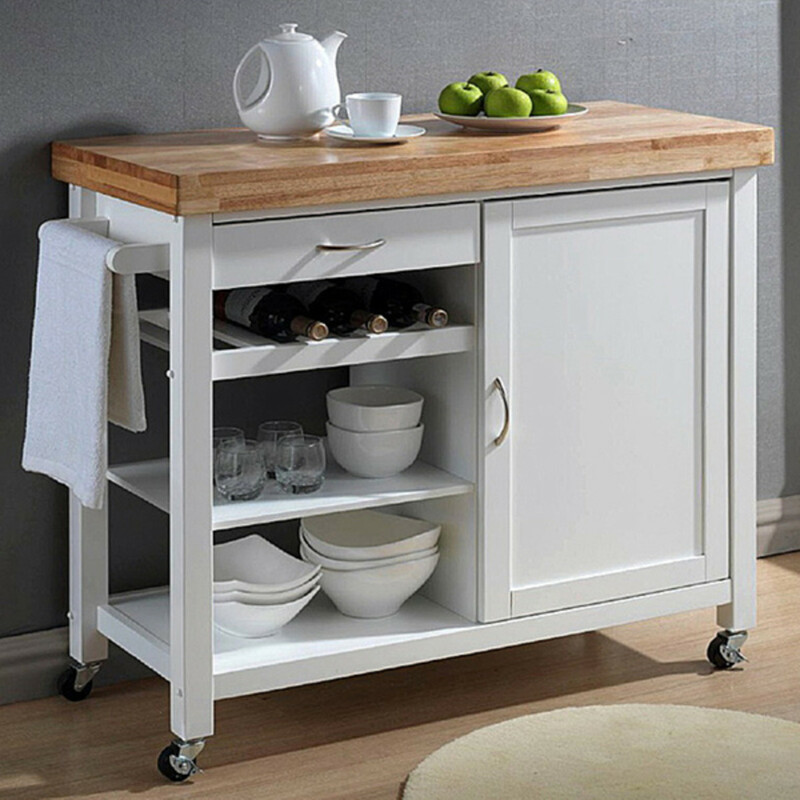 Whether you're planning a remodel or you're simply looking for ways to expand your counter and storage space, a rolling cart is an excellent, affordable option. Kitchen carts come in all sizes with varying types of storage. When the cart is on wheels, you have the flexibility to move it to different areas of the kitchen or to move it out of the kitchen altogether as needed. 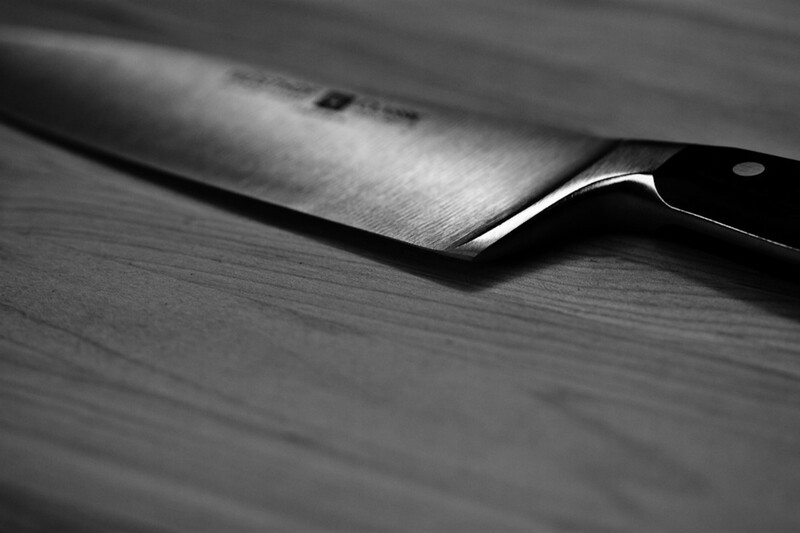 No one wants to stare at their kitchen utensils all the time, especially when they're in a messy heap on the counter. 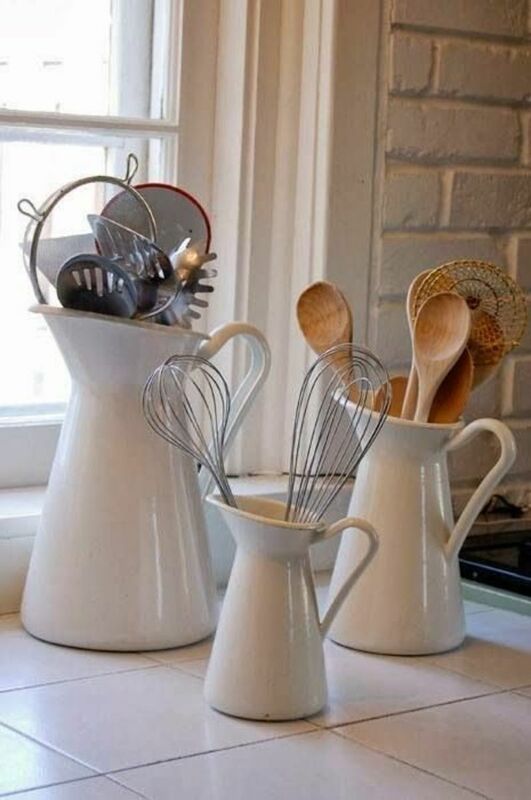 Keeping kitchen clutter to a minimum helps you maintain an organized kitchen in which meal preparation is stress free. 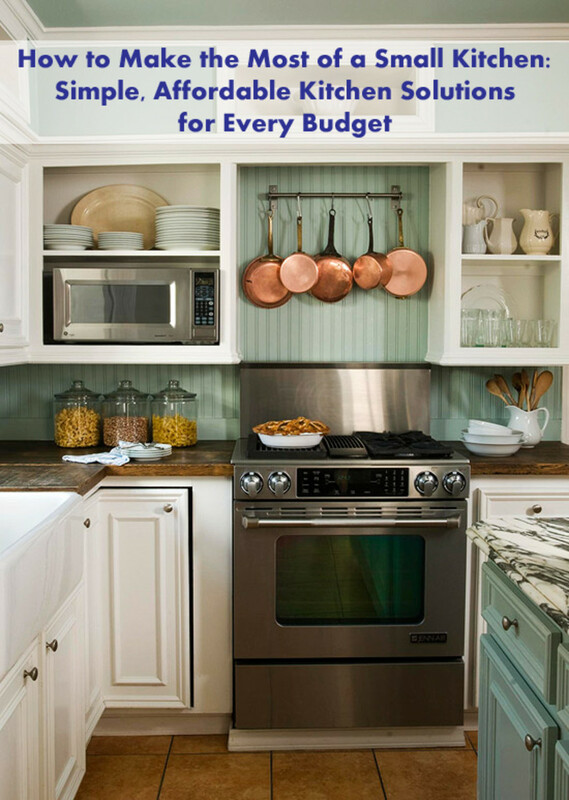 Start by finding concealed storage for as many kitchen items as possible. 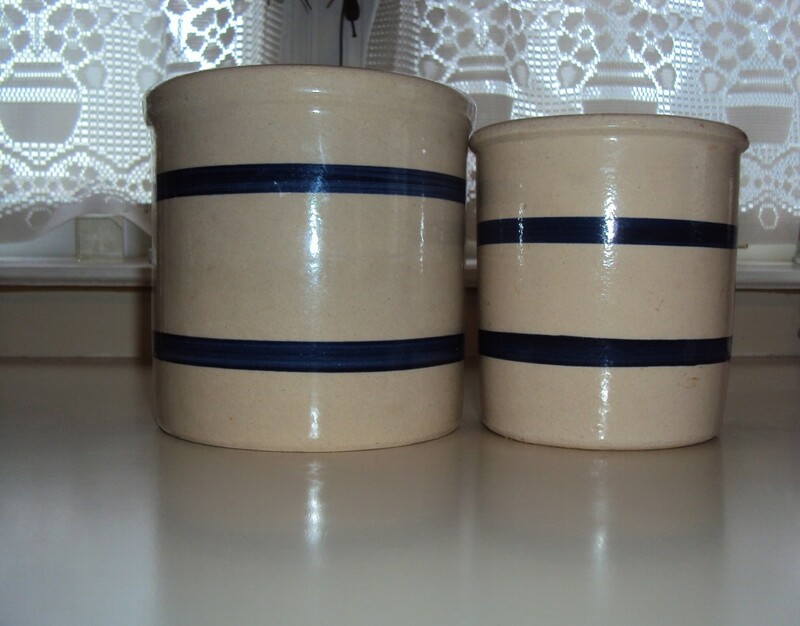 Then think about attractive storage options for the remaining pieces. 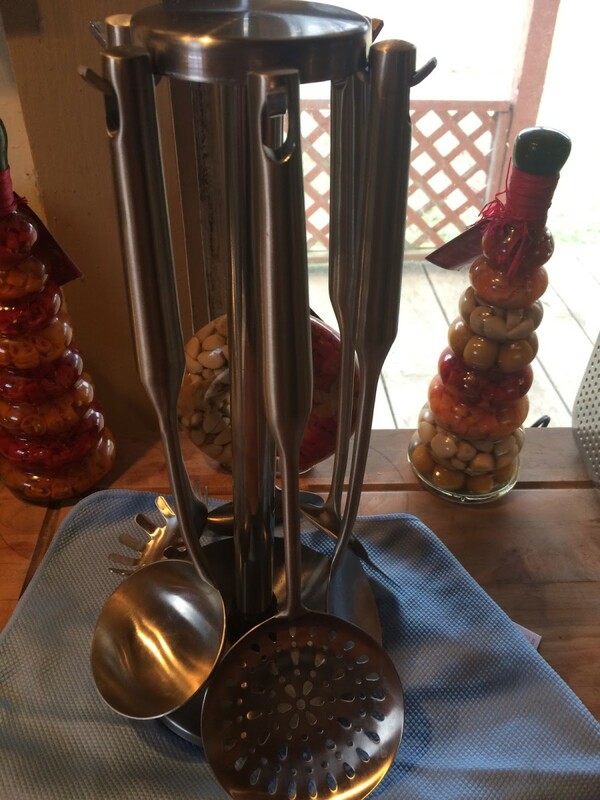 For example, if you like having some of your large utensils right next to the stove, select a stylish vase or retro colored mason jar that fits the feel of the kitchen. If you're planning a substantial kitchen renovation, consider using drawers as opposed to cabinets for most of your storage. 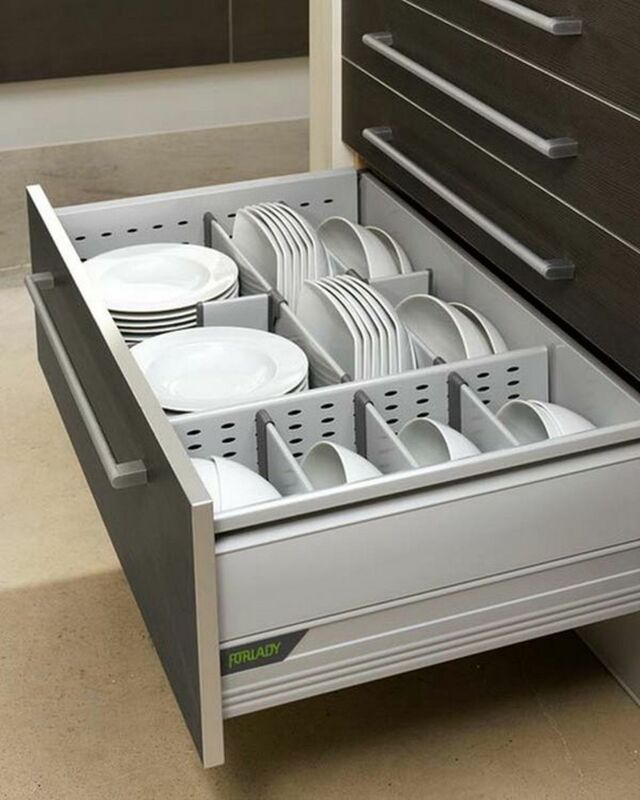 Drawers keep kitchen items hidden from view and are simpler to clean and keep organized than deep cabinets. Remember the kitchen cart idea? If you're thinking about including a compact kitchen cart or island in your renovation, think about a unit that boasts multiple deep drawers. 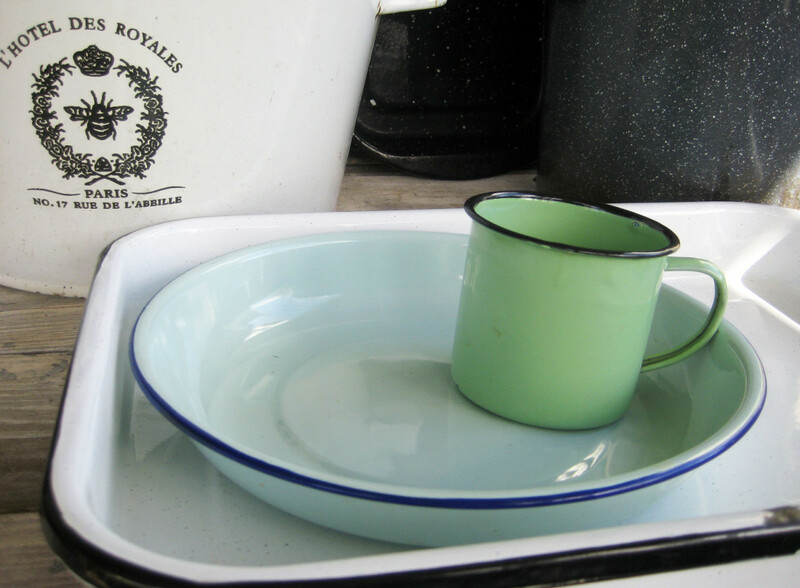 A modest sized kitchen cart or island can house a surprising amount of utensils as well as bakeware, cookware, and food storage items. Think about other ways to add drawers to your kitchen as well, such as installing drawers in the pantry and cabinets. More affordable solutions for your small home. Additional home inspiration from the author. Do you have other small kitchen storage or organization solutions? Leave them in the comments! 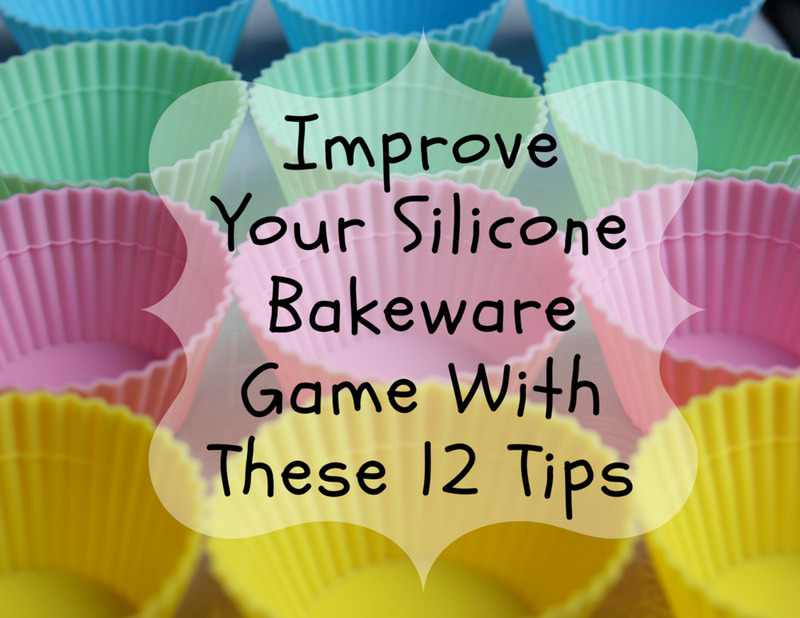 Lots of great ideas to make your kitchen work better. Using the back of cupboard doors is a worthwhile idea. I must put that in to practice. Thanks for all of these suggestions. I have that tiered cabinet organizer and it does save space. You can also see what's in the back row! Great hub with very useful solutions! Love the photos too. Now I want to makeover my kitchen! All useful suggestions to make the most of a small kitchen. Using light colours does help and also keeping storage shelves at the back of the door is a good idea. I had small kitchen earlier so I can relate to most of your suggestions and tips. Great hub and well presented. Pinning it on my home board. Thank you!